With all the work and studying I’ve been doing, I’ve barely been able to take a break and enjoy a little pampering or ‘me time’. 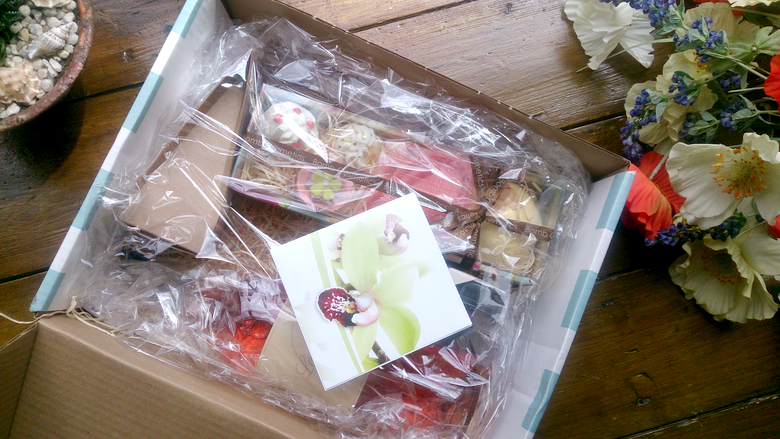 So when Serenata Flowers offered to send me one of their bespoke Gift Hampers to review I leapt at the opportunity. 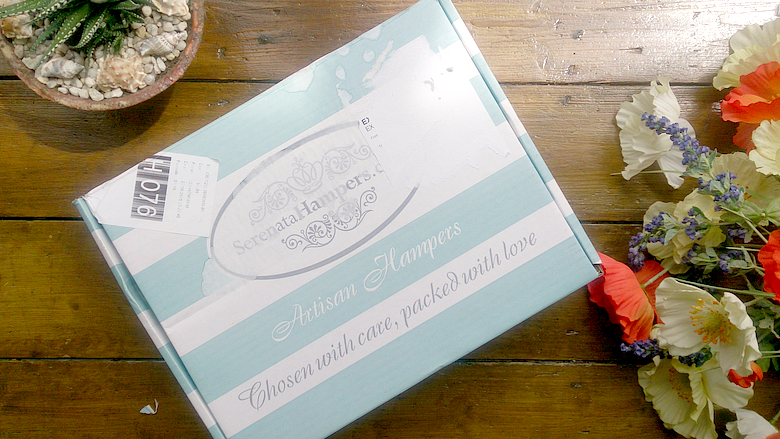 After browsing their website of hampers and discovering they really do have a hamper for anyone and any occasion, I decided on the Pamper Her Perfect*. Ordering couldn’t have been easier, using their Checkout system to select a preferred date and time then simply waiting (impatiently) for the courier to deliver safely to my door. They even offer extras such as balloons, teddy bears and birthday cakes and Standard Delivery is FREE too, making treating yourself or your loved one to a hamper all the more deserving! The Pamper Her Perfect hamper arrived safely in a chic striped box, opening it to find the wine wrapped carefully in bubble wrap and everything else present neatly with celophane and a pillow of shredded paper and a little greeting card with personal message and discount code for the receivers first order. 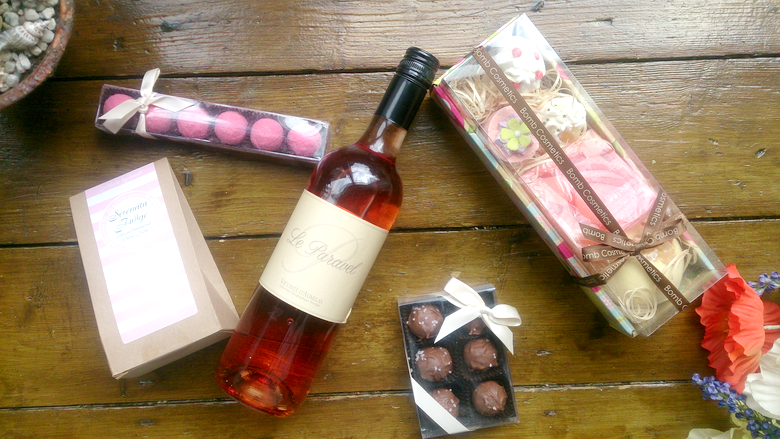 The Pamper Her Perfect hamper contains exactly what you’d expect for a night of indulging alone in the tub: a box of Caramelised Butter Fudge; Salted chocolate truffles; Champagne and Strawberry truffles; A bottle of Le Paravel Rose wine and best of all; Bomb Cosmetics Hawaiian Flower gift set. I won’t lie to you I was very happy to receive this on my much needed day off and didn’t hesitate to run a bath and drop the first Bomb Cosmetics bath bomb in! Sipping on a glass of wine, because hey, I deserved it after all!  If you’re looking for the perfect bespoke gift or bouquet of fresh flowers for a friend or family then Serenata Flowers is the website for you. Bouquets and House Plants start at £19.99 and come in various types, sizes and colours. The Pamper Her Perfect hamper is priced at £39.99 which I think is great value for money for that you’re getting. I’m now thinking of getting my Mum one for her Birthday. She was cooing around this one alot! 20 luxury pastel roses — beautiful! This looks amazing! Would love to try this out, such good bits in there! I would love to win the sweet ladies who bathe hamper as a birthday gift for my daughter. I would pick the Sweet Ladies Who Bathe hamper and although I’d share the sweets with my family I would keep the bath goodies for myself. Sweet Ladies Who Bathe Hamper, though that’s a close run thing! My wife would actually prefer The Chocolate Hamper! But out of the 3 listed, she says the Sweet Ladies Who Bathe Hamper please! The French Linen Pamper Set please for myself. Pamper Her Perfect hamper for me. The roses bouquet for my mum! the pamper hamper and I would pour in the bath bombs and make the fizziest bath you could ever have. I would love the 20 Luxury Pastel Roses and would send them to my mum for her 50th in 3 weeks time! The Sweet Ladies Who Bathe Hamper, for my Mum! The Pamper Her Perfect hamper would be perfect after a hard week. The Sweet Ladies Who Bathe Hamper And I’d keep it for myself. I would love the French Linen Pamper Set for mum! I’d love the Sweet Ladies Who Bathe hamper! Probably for my own pamper night, not going to lie! 20 Luxury Pastel Roses I would share them with my Mum. I would love to win the French Linen Pamper Set – absolutely gorgeous set! I love roses so I would love to win the Roses bouquet all for me (as no one buys me flowers)! I can’t see how to enter! But I would love the French Linen Pamper set! 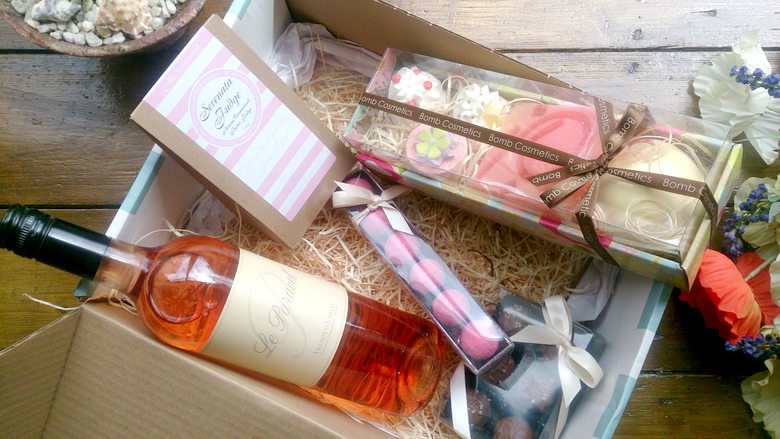 Wow, what a beautiful hamper, gutted i missed the giveaway!